You might not have thought it, but Iran is one of the most beautiful and serene countries in the world, it just depends on where you go. When you arrive in Iran, you need to make your way to the Sardar-e Jangal District, in the country’s stunning Gilan Province, which borders Azerbaijan. 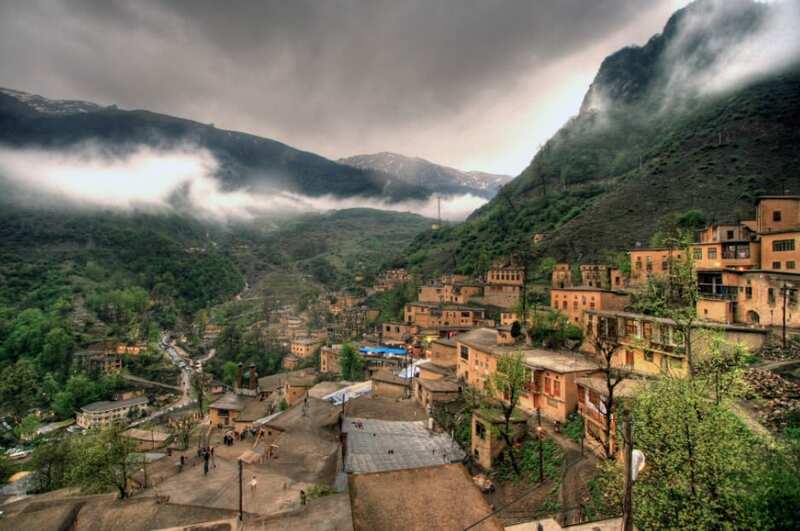 Nestled among the Alborz Mountains is a truly mesmerizing village called Masouleh. As you approach this wonderful hillside village, you will be struck by the unique yellow brick cottages built on the mountain slope. Surrounded by gorgeous hillside shrubbery, and a blanket of mist, this village looks like something to come out of a fantasy novel or a mountain legend. Every view here is truly exquisite, and it’s the kind of place you could never get bored of visually. Not only does it have stunning views, but it’s also a pretty unique village, and we’re going to look at why. We know that the province of Gilan has a long and interesting history, playing an important role in the development of Iran as a country, and its role as part of the Silk Road. It’s estimated that the first village and community was originally established around 1006 AD, and was located about 6km from where the village actually is now. Attacks and natural problems caused people to move to the new location the village currently resides in. The mountains offered much better protection from potential enemies, so it seemed the obvious choice. The beautiful Masoumeh-Roodkhan River passes through the village, and there is an iconic waterfall just a couple of hundred meters from the center of the village. One of the most striking things to note about the village of Masouleh, is the unique architecture it has. Not only is the whole village built on the side of the mountain, but the homes are built to accommodate the slope. This has meant that the design means the front garden of each home rests on the roof of the property in front of it. The same applies to the restaurants and cafes in the village as well. This is a wonderful use of space, and shows how efficient and economical the architecture was. Optimizing space is essential in a village like Masouleh, so this creative architecture is pretty impressive. Many of the older homes here also have a designated ‘winter room’ with thick walls made of clay to preserve warmth. Yes, we mentioned it early, but it can’t be stressed enough how stunningly good this view is. The homes offer large, expansive windows that show a sprawling view across the mountainside, through the fog, and across the Gilan Province. The slender, maze-like passageways and interconnected rooftops make this a curious and charming village. As views go, this is the sort you could spend the rest of your life enjoying – and that alone is worth a visit to this small trading hub up in the mountains. This might not be a village you’ve heard of before, but it’s certainly one that’s going to be very difficult to forget once you’ve seen it. The unique architecture adds some stunning character and personality to the village, and the rooftop gardens are a wonderful idea. 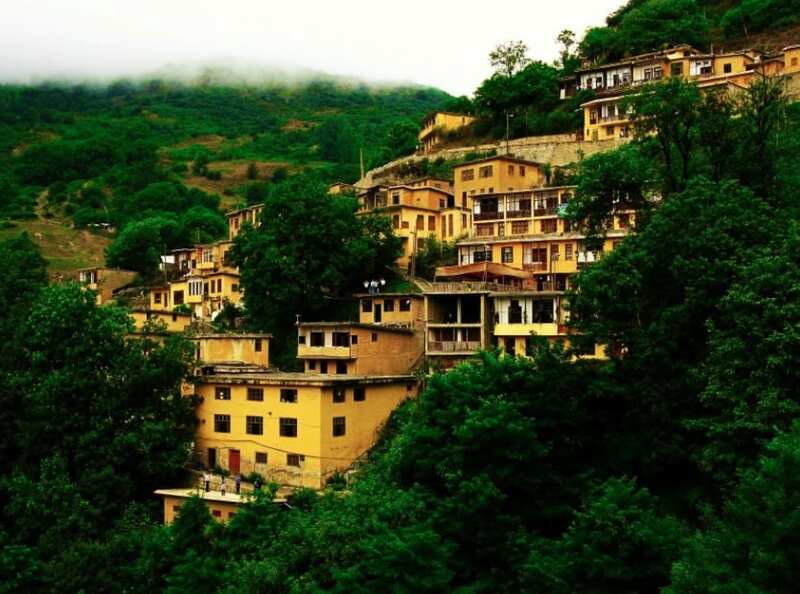 With some of the best views we’ve ever seen, and the magnificence of the surrounding mountain, Masouleh is a village we insist you visit if you ever make it to Iran.